Heat pan with oil and sautée onions and garlic. Add mince and cook until brown. Stir in tinned tomatoes, purée, peppers, kidney beans and beef stock and allow to simmer. Add the spices and cook off for 5 minutes. Mix together 3 tbsp lighter than light mayo, 2 tbsp tomato purée, 1/2 tbsp chilli, 1 tbsp crushed garlic . 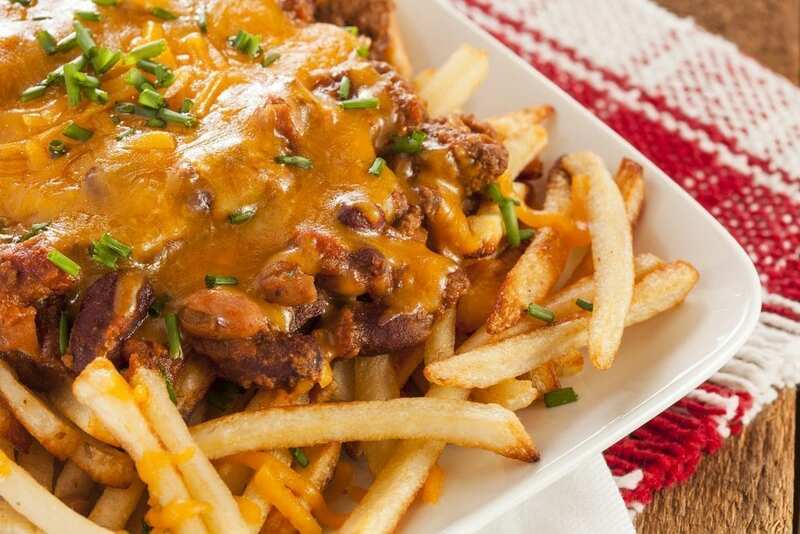 Cover the fries with the mince mixture and top with taco sauce or opt for a dollop of low fat yoghurt instead and sprinkle each serving with 30g low fat grated cheese.